This home on Scarlet Drive sold for $353,615 which was over $10,000 more than the listing price. The Mary Ellen Vanaken Team real estate agents were excited to help the new homeowners purchase this property in the sought after community of Jamestown. This Jamestown Home in Alpharetta Sold by Mary Ellen Vanaken Team is measured at 2,800 square feet and has 4 bedrooms and 3 1/2 full bathrooms. This home is a two story brick family home with a lot size under 1/3 acres. This home was built in 2014. This Greenbriar model has a open main level design offering a spacious kitchen complete with a large center island and a cozy family room. The large owners suite has a fantastic walk-in closet and the new owners are thrilled to find the laundry room is located on the second level. FIND YOUR JAMESTOWN HOME HERE! 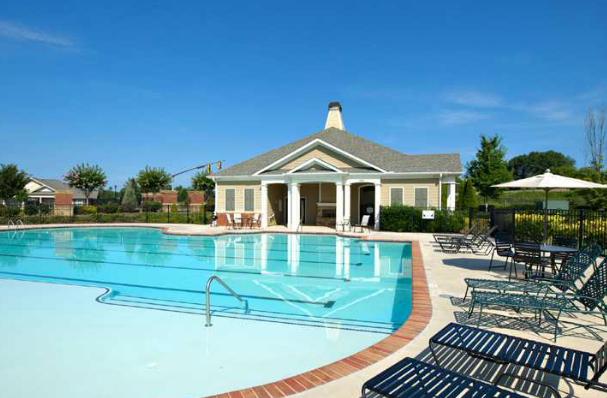 The Providence Group is the homebuilder and their website states, "Jamestown offers a "lock and leave" lifestyle in a beautiful gated swim and tennis community in Forsyth County". The community has a beautfiul collection of large three and four-bedroom single-family detached homes including Garden Homes with amazing landscaping and rear entry garages, and Manor Style Homes with carriage style front entry garages and basements options. Jamestown also has available two and three story townhomes. All homes come with professional landscape maintenance included and townhomes provide exterior maintenance as well offering a fantastic low maintenance lifestyle! Singles, couples and families find the swim/tennis community offers everything including a short drive to Highway Georgia 400 and local shopping. The Mary Ellen Vanaken Team of Keller Williams Realty North Atlanta take getting North Atlanta homes sold very seriously. They continually strive toward their motto of "Your Happiness Is Our Main Concern." The Mary Ellen Vanaken team was started and is owned by Mary Ellen Vanaken. The team of five consists of team leader Mary Ellen Vanaken, two buyers agents, a marketing coordinator and team administrative assistant. Buying a home is probably the largest investment you will ever make, whether you are buying your first home or are upgrading to a larger home. The Mary Ellen Vanaken Team are experts in the North Atlanta area, and bring a wealth of knowledge and expertise about buying and selling real estate here. It's not the same everywhere, so you need someone you can trust for up-to-date information. Our team is eager to serve you!